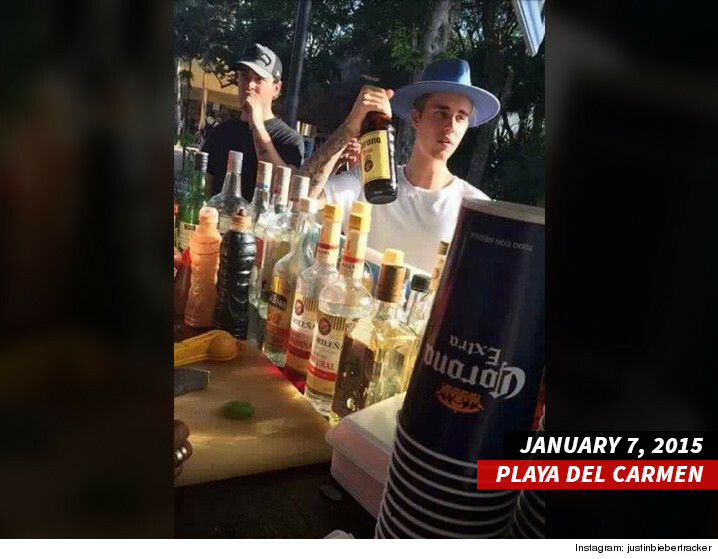 Our sources say officials at the Mayan ruins were extremely upset with Bieber shortly after he arrived because he and his friends were walking around with open bottles of beer. Bieber then climbed to the top of the ruins and mooned everyone, which enraged the already upset staff. We're told Bieber and crew were asked to leave and did, but not before hurling insults at the staff. Police were called but Bieber had left before they arrived. Justin Bieber pissed off the Mayan gods -- or at least the cops who watch over them -- because he allegedly dropped trou on pyramids in Mexico. Officials in Tulum, south of Cancun, say Justin and his entourage got booted from the ruins on Thursday. Several reports say Biebs ran afoul of the temple cops because he pulled down his pants ... but officially authorities will only say they did something outrageous. Justin's got a bit of history at popular tourist spots. Back in 2013 he caught flak at the Anne Frank Museum for writing in the guest book, "Hopefully she would have been a belieber." He and pals also horsed around in the museum. Later that year, he had bodyguards carry him on the Great Wall of China ... which is frowned upon. Yes, Justin ... it's too late to say lo siento.